Voice control is looming large at the Consumer Electronics Show in Las Vegas with companies such as Ford, Lenovo, LG, Nuance, and Samsung touting voice control for high-definition televisions, ultrathin laptops and cars. Here's a look at some of the next-generation gadgets that you'll be talking to (even when other people are watching). Lenovo recently announced the Android 4.0-based K91 Smart TV, a 55-inch 3D 1080p HDTV that includes a 1.5 GHz dual-core Snapdragon processor, 8GB storage, SD expansion slot, 802.11 b/g/n Wi-Fi, HDMI and USB 2.0. The HDTV also includes television apps, Lenovo cloud services, and a natural language voice control function for the remote. Samsung says its 2012 smart TVs will include voice control. At CES the company is showing off voice control in its Super OLED 1080p HDTV, allowing you to activate the television by voice and then issue commands for changing the channel, adjusting the volume and navigating app menus. LG is also getting into the voice control game by adding voice control to its Magic Remote shipping with all LG Cinema Screen HDTVs (LM9600 and LM8600 series) in 2012. Nuance, the company behind Dragon voice recognition software, on Monday announced Dragon TV, a voice control software platform for televisions. Dragon TV lets you use natural language to change the channel, find a show or movie, and even search for content by genre. You could, for example, say "Go To PBS," or "What's on NBC at 8 p.m. tonight?" 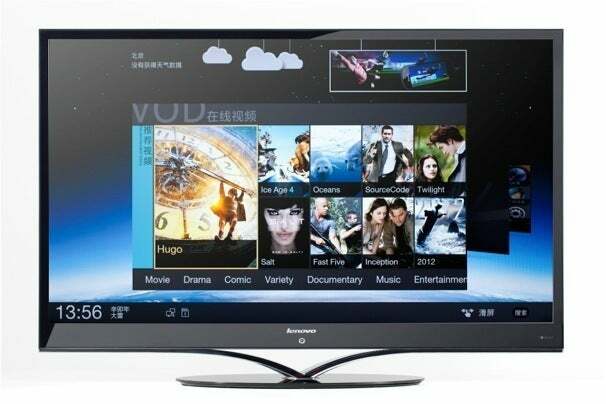 Dragon TV can also integrate with connected TV apps for e-mail, social networking and Skype. Nuance doesn't have plans to produce a television device, and is currently offering its popular technology to companies looking to produce voice-controlled televisions, set-top boxes, remote controls and smart TV application platforms. Although not appearing at CES, Apple is reportedly working on a television set that uses Siri-style voice control. Intel and Nuance are working together to bring voice control to Ultrabooks this year. 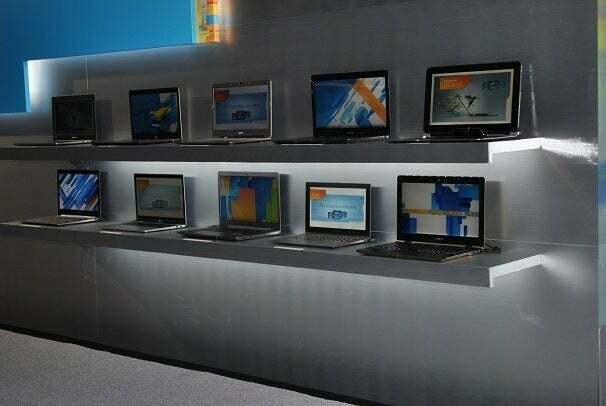 Ultrabooks are Intel's new class of ultrathin laptops that are supposed to include the best features of tablets in a laptop device such as instant-on functionality, longer battery life, slim profile (less than 0.82 inch thick), and a sub-$1,000 price point. Nuance will develop an Ultrabook-specific application to use voice control to launch apps, play music and videos, open social media sites via your browser and enter status updates and also interact with e-mail and calendar programs. Intel and Nuance will also release a software development kit to allow third-party developers to create voice command-enabled software for Ultrabooks. The SDK at launch will support American and British English, French, Italian, German, European Spanish, Mandarin Chinese, Japanese and Brazilian Portuguese, as well as other European languages. The two companies did not specify which languages Nuance's Ultrabook app would support at launch. Ford is expanding its voice-controlled SYNC AppLink application platform for cars. The automaker revealed a new version of the SYNC Destinations smartphone app for Android and iOS created by traffic information provider INRIX. The app can send turn-by-turn directions to an in-car navigation system and provide real-time traffic information. When the app is connected to a SYNC AppLink-compatible vehicle it can be controlled through voice commands. Ford also worked with NPR to adapt the broadcaster's NPR News smartphone apps for Android and iOS to accept voice controls when connected via SYNC AppLink. You can use your voice to browse app content such as NPR stations, newscasts and programs. The updated NPR app features the voice of Carl Kassell, a former NPR newscaster and the current judge and scorekeeper for NPR's “Wait Wait...Don't Tell Me!,” to provide you with tips on how to use the app. Parrot, an after-market car accessory maker, introduced three new connected in-vehicle systems, the Asteroid CK, Asteroid Nav, and Asteroid 2DIN. At least two of the devices, the Asteroid CK and Asteroid Nav, can use voice control to make hands-free calls via Bluetooth and play music from a connected device such as an iPod, SD Card of USB thumb drive.